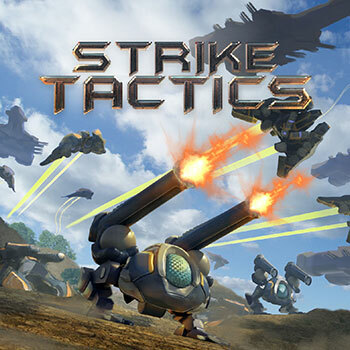 Strike Tactics is a new, completely free, fast-paced steamroller RTS! Harvest, build, attack, defend and conquer your opponents with a classic RTS formula. Huge unit roster with over 20 military units each with unique weaponry and capabilities. Super weapons which shoot halfway across the map. 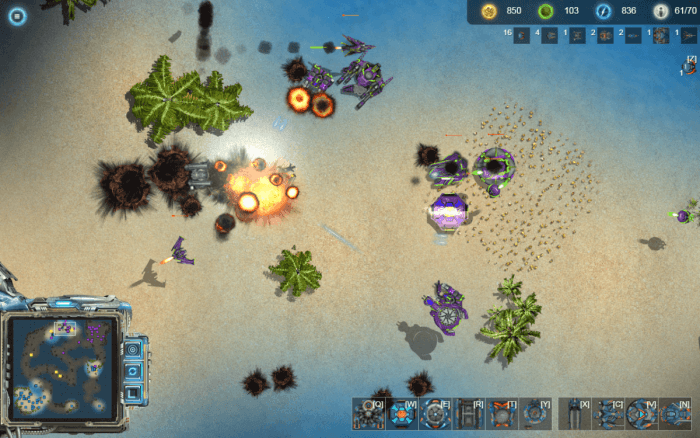 Hover tanks, bombers, mechs and enormous flying battleships! Play free in your browser! Multiplayer focus (dedicated servers, not P2P) with 1v1, team and free-for-all modes. 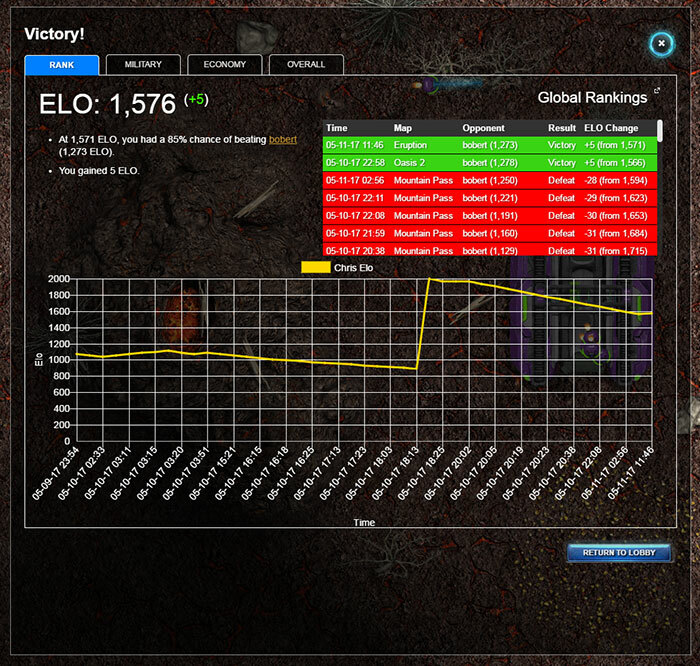 State-of-the-art ELO-based ranking system, match history and global ladder. Full-featured RTS in the standard game mode, with base-building, production, technology research, queuing, worker units and a complex economy system that is easy to learn but difficult to master. Play single player games against AI (easy, medium, hard and a cheating AI). Play deathmatch, a 4-person free-for-all tug-of-war style game mode. Control the center to earn extra resources and destroy all enemy bases! 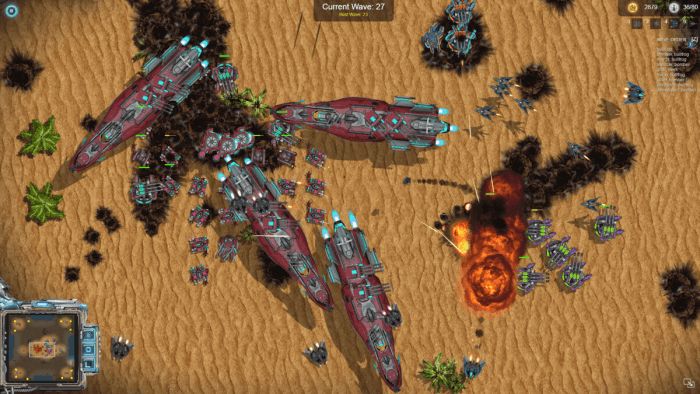 Face endless waves of enemy units in the survival game mode (with multiplayer cooperative). 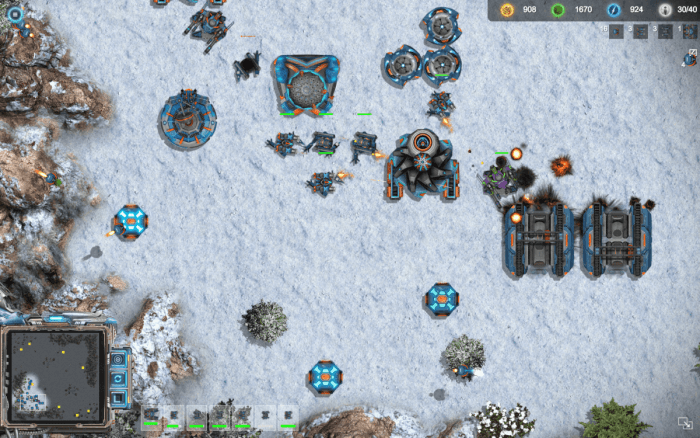 Control groups, observer mode (with zoom) and custom hotkeys. Play on Mac, PC and Linux. The game is designed to be highly performant on non-gaming, low-end PCs, but will utilize your graphics card if you have one. This isn’t your typical web game built in flash! Hard-hitting and industrial soundtrack with 15 original scores composed by On Being Human. Listen to the full soundtrack on Spotify. Global cloud-based hosting infrastructure to accomodate players primarily in North America and Europe. Far east and Australian players are welcome too! Enormous maps, as big as 2.5 billion pixels. Share games as URLs. To play with a friend, simply send your game room URL. Or, open your game room to the public and people will join through the lobby browser. Easily create custom maps with the simple and easy to use browser-based map editor. Save and share your maps as text files. Got questions? Join the community on Discord.